USB flash drives are awesome, we hope you'll agree with that. They are cheap, tiny, lightweight, and very useful for moving files across computers. The USB flash drives we have for you today, however, are even more awesome than that. They come with both a standard-sized and a USB Type-C ports, which enables them to work not only with computers but with the newest Android smartphones and tablets as well. I have the pqi connect!and so far so good.. They should have listed the Sandisk Connect as well which is WiFi as well as USB. But I guess they only listed USB otg connections. I prefer using a meenova to these, it lets you swap micro sd cards. and is more compact because it doesn't have a full size USB connector. This^ Loved my Meenova so much I picked up a spare. Same here Meenova is awesome... compact and have it hanging on my keychain. Love the fact I can swap out the SD cards. My 128GB works great in it too. This article should be renamed: "Things you'll never be able to do on your iPhone!" 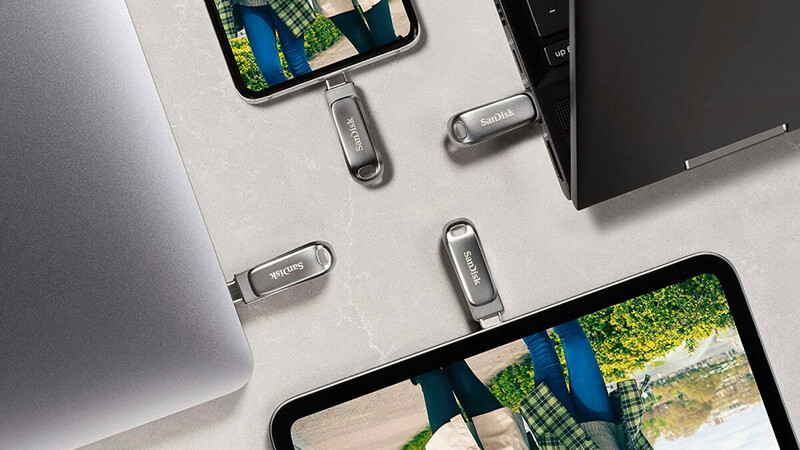 Footnote: I have the SanDisk 32GB ($27.99 Staples sale Memorial Day Weekend); best way to transfer downloads (via my grandfathered Unlimited Data plan), docs', pics' or videos to PC or laptop. Android, YOU FREAKIN' ROCK!!! I'm curious to know JackLee's recommemdation. A feature that I don't need, the majority doesn't need. Might be useful for spreading viruses and Trojoan horses though. You'll change your mind once it hits iOS 10. It won't. People don't need a gimmick like this. But need gimmicks like Passport and Healthbook? Right. Well, I don't use them either. Not yet and not in current state. S-Atisfied, S-Murfette? You are so right Mr. Lee, "people don't need gimmick like this,' people need to spend more money on new iLightning AdApters. BTW, 'how do you get those shirt so white'? so your calling usb drives a gimmick? Since when file transfer between devices become gimmick. Your virus theory is much like you can't drive a car because there is a potential for a crash. I'm guessing these work on other USB OTG platforms, like Symbian? Would be great to further expand the storage and move full-size files from a Nokia 808 PureView, for example. Using SanDisk Ultra Dual USB Drive 64GB. A fast and convenient way to transfer data between devices. i Have 2 Kingston MicroDuo 16GB and 1 Kingston Wi-Drive 32GB. I lost my 1 MicroDuo. I have the Corsair Voyager GO in the 32gb model and its fantastic! Works great with my HTC One M7, hope it works with my LG G3 that I will be buying. I have heard complaints about the usb3 speeds but I have not seen an issue in my computer. Speeds are average- no issues. One might observe is that this very article might have been about WP if Microsoft wasn't such an anti-customer company. I guess for Microsoft it is enough to be a patent troll and make money off Android like the parasite they are. None of these solve the main problem with USB OTG: powering your phone while simultaneously streaming music from a flash drive in your car. Lack of data service on most of a US cross-country drive makes cloud-friendly phones (without removable SD cards, and with little built-in storage) a little lacking for music. USB OTG would solve that problem, but only if the phone could charge simultaneously. The Y-cables I've tried don't achieve that.